Just when you think everything’s fine, disaster strikes! Your customer cancels. And to make matters worse, they canceled without saying a word. That’s the most frustrating and perplexing question you’ll ever face as a business. And it’s a question you’ll ask a lot. Aside from a few squeaky wheels, the vast majority of the customers who leave won’t tell you why. According to this study, a whopping 96% of customers don’t offer feedback and 91% will simply leave without giving you a chance to make it right. This means that you’re left in the unenviable position of trying to figure out what went wrong. But, you must figure it out. You see, getting customers is great, but keeping customers is even greater. It’s actually 5 times more expensive to acquire a new customer than it is to keep a current one. And if you put all of your effort into getting new customers, but don’t figure out what’s causing your current customers to leave, you’ll soon be saying “goodbye” to the new customers, too. 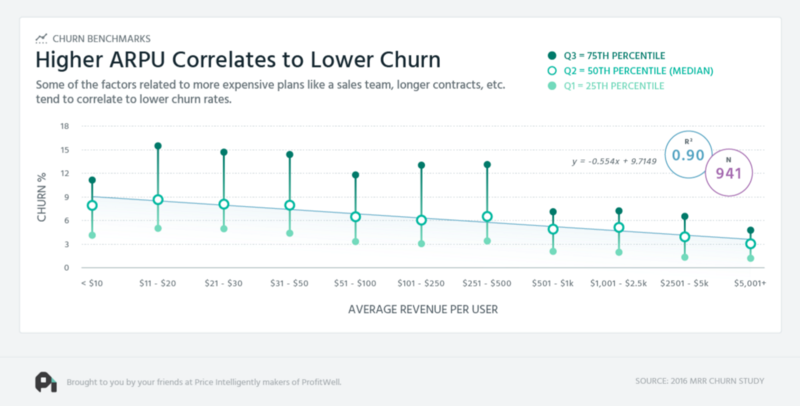 So, the more you can reduce churn (the loss of customers), the better. Let’s talk about the most common causes for churn, and how to prevent this from happening to your business. 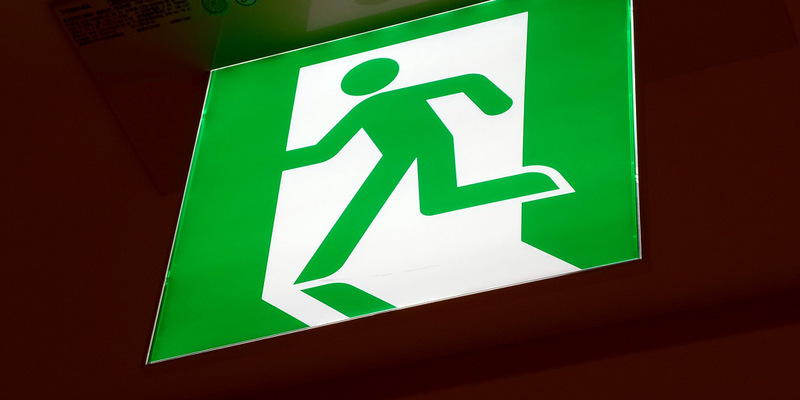 Here’s a list of actionable strategies to prevent customer churn. Your service won’t appeal to every person on earth. Some people won’t have a use for it, other people won’t understand it, and then there will be a few who hate your guts without a logical reason. It’s just part of the game. But your mission is to create a service for a specific group of people and then find that group of people. If you waste your time wooing the wrong audience, you’ll eventually lose them in the end. They’ll realize that your service doesn’t perfectly answer their problem, and they’ll move on to the next. Be very clear about who your ideal customer is and then set a pathway to success for that customer. Don’t reach out to people who may not benefit from your service. Don’t advertise by casting a wide net. Focus your marketing efforts on an incredibly targeted demographic (which may be only a few thousand leads or less to begin with). As you learn more about your customers and how your service fits their needs, you may benefit from zooming out and targeting a larger group. Ever signed up to try a service and felt like you had no clue what to do next? Your customer may be experiencing that same nightmare with your service. Yikes. When customers feel lost, it’s often due to a lack of onboarding. Onboarding is about taking your customer from signup to success. We’ll define success as the place where your customer can see the demonstrated value of your service. If they can get to this initial (and very important) milestone, they’ll be more likely to stick with your service. So it’s important that you create an easy-to-follow map that takes the customer from signup to their first milestone of success with your service. Sometimes, there are warning signs before a customer churns. An increase in support tickets is a telltale sign that customers don’t feel confident in using your service. It could also indicate that there are gaps in your design that you need to address. Although you understand your service in and out, your customer may not. When the customer doesn’t understand how to use the service, you’ll likely see a dip in usage and engagement before they eventually churn. Create a thorough onboarding program for your customers so they understand exactly how to use the service. A good idea is to create a video tutorial series to appeal to visual learners. Look for ways to proactively educate your customer so that they don’t feel lost. Another way to avoid churn is to monitor usage and behavior. Then, set up emails to send in response to certain behavioral triggers or when a user goes below a desired usage level (i.e. not using after a specific amount of days, or accessing the knowledge base). 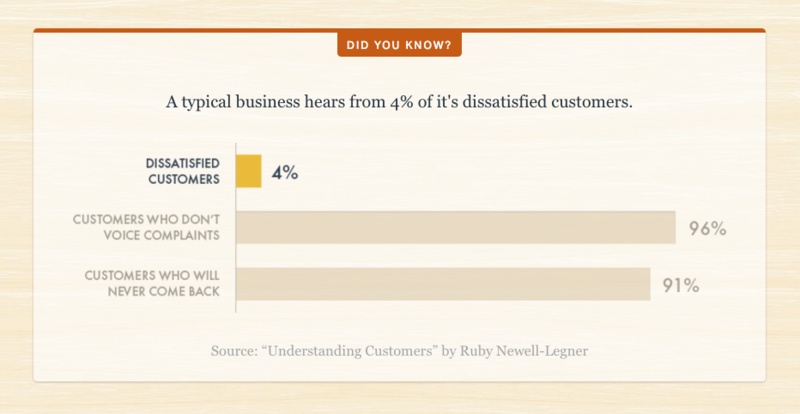 Many businesses focus so much on customer acquisition that they neglect customer retention. That’s a deadly mistake. Studies show that bad customer service is the number one reason why customers stop doing business with a particular company. You need to commit yourself to ongoing customer care. So, how do you make this actionable? Invest in a knowledgeable team that you can trust. Give them autonomy and authority to make decisions quickly without getting stuck in your company’s bureaucracy. Look for potential pitfalls and proactively create solutions that steer the customer in the right direction. Also, don’t just do it in the background. Let customers know that you’re helping them. For example, offer suggestions on ways they can take better advantage of your service (i.e. “Hey, I noticed you using X, I think you could benefit from doing Y and Z.”). Pricing is tricky. On one hand, you don’t want to undervalue your service and practically give it away. On the other hand, you don’t want to price yourself out of the market. But here’s some comforting news: the higher your average revenue per user, the less likely they are to churn. Customers who pay less for a service are more susceptible to leaving. It may sound counter-intuitive, but it’s proven that customers place a higher value on more expensive services and service. Don’t slash your prices in order to compete with others. That’s a race to the bottom and no one wins. Instead, offer a value-based pricing model. A popular model in the SaaS space is to go with a tiered pricing solution. Do choose your tiers wisely and include sticky features on all tiers. What makes a feature sticky? A sticky features is one that becomes an essential part of your customer’s workflow. Customers will continue to pay for your service because they can’t easily function without it. Don’t lose sight of your customers. It may seem like everything is going well, but you still need to check up on them every now and then. Take their temperature. Are they still excited about your service? Encourage them to use your service. When’s the last time they used your service? The easiest way to stay in contact with your customers is to create an active email marketing strategy. Write a series of emails and then send them out automatically based on the customer’s journey or behavior. For example if the customer writes in to support, it makes sense to send a follow up email within 24 hours. Another example is to send an email to mark their one year anniversary with your service along with a thoughtful gift or discount. If you’re in a popular industry, you’ve got competitors. But that’s not a bad thing. It simply means that there’s a need for your service. However, you can’t afford to be to similar to your competitors. If you are, you’ll risk losing your customers to a strikingly similar service. There is such a thing as “competitor-created” churn. Some customers will leave you because they can score a better price from your competitor “for the same service”. Focus on your unique value proposition. What is it? A huge body of resources? Whatever it is that sets you apart from your competitors, make sure that your customers know about it. Make it part of your marketing, and showcase it in your nurturing. For example, if your unique value proposition is that your service is popular, share testimonials or case studies from others who have found success using your service. Another example, let’s say your unique value proposition is that you have a huge body of resources. Make sure that you’re emailing your customers with links to relevant resources that correspond to where they are on their customer journey. These are just a few of the questions you can ask your current customers. While not everyone will respond, those who do will provide valuable insight into how well your service is resonating with your customers. Don’t forget to download this list of actionable strategies to stop customers from churning. Here’s a list of actionable strategies to prevent customer churn. Subscribe to receive this extra resource.